As many of you know by now, travel has played a huge role in my life since high school when I first went to Australia with People to People Student Ambassadors. I’ve now been a member of People to People International for 6 years and have travelled all over the world with them. When I was looking at colleges, I specifically searched for school with expansive study abroad programs and global opportunities, and that’s how I ended up at Dickinson. I’ve always been grateful for the opportunities I’ve been offered and I understand that I am very lucky to have had so many wonderful experiences at a young age and I have always tried to not take them for granted. However, I’ve recently realized that there is one thing I have taken for granted–the fact that I have the physical ability to travel. During my frantic search for volunteering opportunities, I came across Holidays from Home, an organization that creates virtual holidays for people who are unable to physically travel because of physical conditions, disease, extreme phobia, finances, etc. The founder, Claire Wade, developed the idea of a virtual holiday when she was 18. She suffered from Myalgic Encephalomyelitits (ME), more commonly known as Chronic Fatigue Syndrome, and could not travel despite her dreams of seeing the world. She decided that she wouldn’t let her physical ailments stop her and used her imagination to develop a holiday in Greece, a destination she dreamed of visiting. Realizing how exciting a virtual holiday can be for those who are homebound, Claire began to expand her idea. 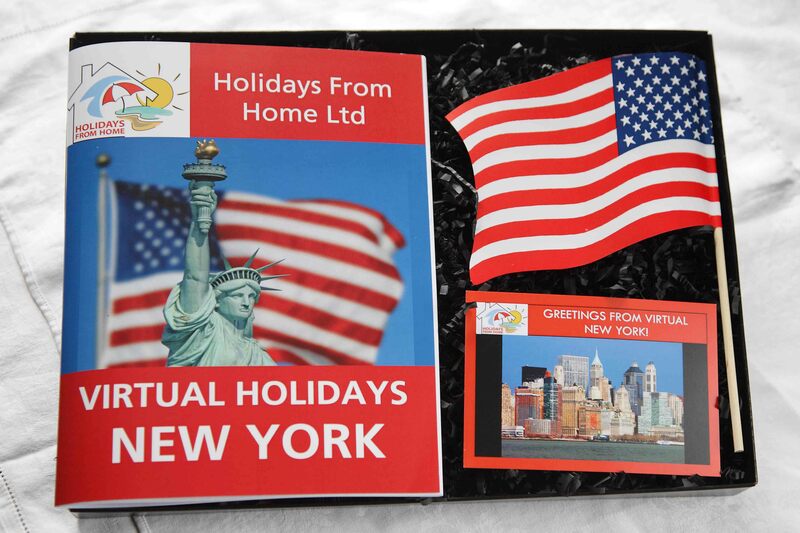 Holidays from Home currently markets gift packages than contain virtual holidays to New York and Australia. They also offer a chocolate tasting tour around the world that stops in Saint Lucia, Mexico, and Belgium. Each itinerary is seven days long. For example, the New York holiday visits Ellis Island, Wall St., 5th Avenue Shopping, Broadway, the Empire State Building, Bryant Park, Central Park, the Bronx Zoo, numerous museums and more. The chocolate tour comes with sample truffles and chocolate beans to taste and smell during the virtual holiday. I discovered Holidays from Home on the UEA Volunteers webpage. Claire was looking for individuals to document their travel experiences to be used in future virtual holiday packages. As we were about to leave UEA for the Easter holiday, I thought it would be a good opportunity for my to share my travel experience with others. I took extensive notes during and after the holiday about each country and the cities/sites I visited, some of which I will share with everyone in my next post. Since I’ve been volunteering with Holidays from Home I’ve also been thinking about taking for granted the physical ability to travel. In addition, Holidays from Home has, for the first time, got me thinking about the role travel (physical or virtual) can have in “the advancement of health.” HFH is one of a few organizations I’ve found which help the elderly and sick in unconventional and really important ways.